This will set the theme for the party. 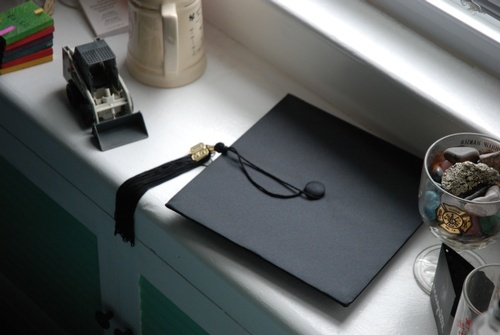 Your grad will appreciate the personalization, taking the extra step to make it about them. Is it a high school graduation or a college graduation? Remember, the main theme should be wishing them well for the future and acknowledging their accomplishment. You want to “tweak” that theme to fit with their interests and personality. From your backyard to our banquet hall, the location can play a big part in what you can accomplish when you cater a graduation party. For a smaller more intimate party (or larger, of course, if you have the room) your back yard will do just fine – however, if you opt to let us at The Heights host your party, there’s so much more that you don’t have to worry about: The endless list of things that you’ll need for your party! We have tables, chairs, AV equipment, place settings and almost anything else you’d need to host a large party. Take that into consideration when weighing your options on if you’d like The Heights to cater your graduation party. This can go hand in hand with the theme. Is your recent high school graduate about to spend the next four years at the University of Hawaii? Maybe consider a luau-style pig roast or Hawaiian pizza. Party size and preferences can also affect other choices as well. Are you having a party that’s going on all day, letting guests to filter in and leave at their leisure, where a buffet style dinner would make the most sense? Or are you having set hours where a plated dinner would be appropriate? These examples are only a few things to think about – the possibilities are endless! Luckily, when you choose The Heights to cater your graduation party, you can rely on our Event Planners to help you with your decisions. Call us today to get started!